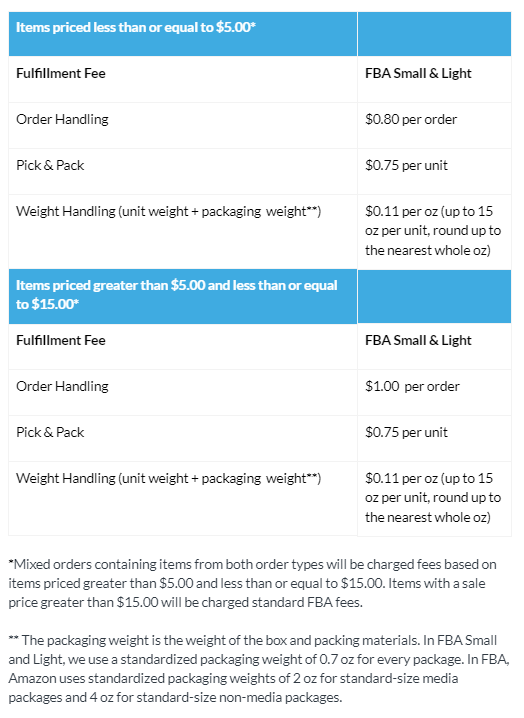 The FBA Small and Light Amazon program is a fulfillment option for products that are priced under $15, measure 16” x 9” x 4” or smaller, and weigh 15 ounces or less. In this blog post we’ve broken down all the important aspects of the program. WHAT ARE THE BENEFITS OF SMALL AND LIGHT? Small and Light offers are eligible for FREE Standard Shipping (4-5 business days), but not other Prime shipping options such as Prime 2-Day Shipping. Non-Prime customers receive FREE shipping (6-8 business days) with no minimum order requirement. Non-Prime customers all have the option of upgrading to 4-5 business days shipping for $0.99. It is possible to fulfill the same product through both the Small and Light program and standard FBA fulfillment. Fulfillment through the Program and standard FBA require separate inbounding processes. WHICH PRODUCTS AND SELLERS ARE ELIGIBLE? 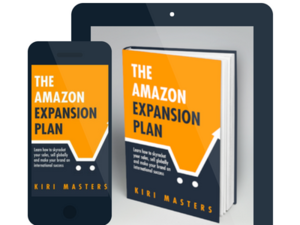 The Amazon Program is currently only available for ASINs and sellers who meet certain criteria and are approved at Amazon’s discretion. Eligible sellers may submit the ASINs that they want to enroll in the program for approval. Sellers participating in the Program must already be enrolled in FBA and not have Premium Placement enabled. Products with package dimensions greater than 16x9x4 inches or weighing more than 15 ounces. All same-ASIN units within a box must be bundled together using a plastic bag, manufacturer/seller case pack (i.e. boxed or shrink-wrapped), or other means of grouping your same-ASIN units together. A minimum of 30 units per ASIN must be sent in each shipment. On the outside of each same-ASIN bag/pack, the total quantity of sellable units must be clearly labeled or a packing list must be included in each shipping box. Each unit must have a scannable barcode (UPC/EAN/FNSKU) or be individually stickered (if no barcode is available or if the barcode applies to more than one ASIN). All units must also be prepared according to the FBA Small and Light Prep Requirements. Units prepared according to the FBA Small and Light Prep Requirements will typically be available for purchase 5 days after Amazon’s receives the shipment in the IVSA fulfillment center in Erlanger, Kentucky. There is a difference between FBA standard and S&L Fulfilment Fees, and your S&L margin improves for individual orders with more than 1 unit sold. Therefore, the program makes economic sense for brands that sell small products but in large quantities (per individual order). WHAT KIND OF PRODUCTS IS THE PROGRAM MOST SUITED TO? We recommend reviewing your sales history (on Amazon plus other channels) to see if there’s any products in your catalog that are bought in large quantities via single orders. Often times due to the low price-point such items are not suitable for standard FBA, and have been listed as FBM (Fulfilled By Merchant) on Amazon to protect profit margins. Chances are, if you consistently sell multiple units of these products via single orders, you can see an improved margin on the S&L program compared to FBA standard. Let's use an example to illustrate the potential savings of S&L. The following 8" harp set from I Like That Lamp has a total weight of 3.2 oz, dimensions of 11" x 5" x 1" and retails on Amazon for $9.95. 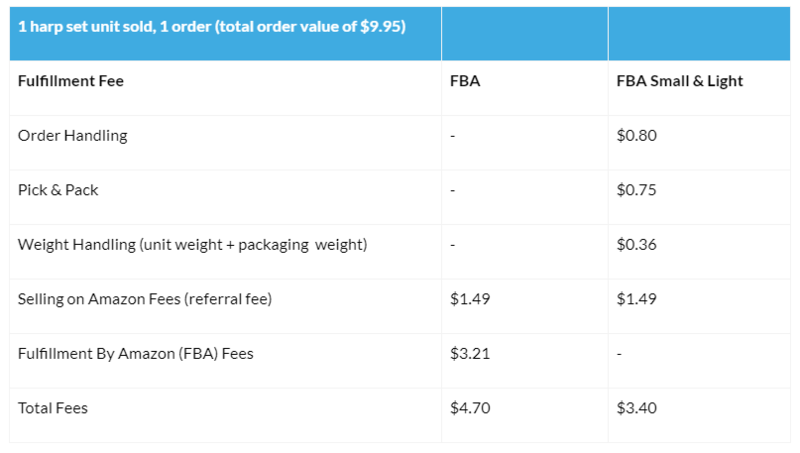 Here's a breakdown of how the FBA vs. S&L fees would work assuming 1 unit was purchased in a single order. The general S&L concept is that the more units you can sell with individual orders the better your profit margins will become. If you are in doubt we would recommend crunching the S&L fees using the above table before confirming with Amazon support that your calculations check out prior to prepping S&L inventory. Ensuring that Amazon fees are correct is a big part of Bobsled’s operational deliverables as a full channel management Amazon agency. Unfortunately we’ve noticed discrepancies across several accounts with expected vs. actual Amazon S&L fees. It is up to each individual seller and vendor to keep track of all Amazon fees across the product catalog. If there’s any S&L fee errors you should open a case with support who will ask for more info and investigate. The issue may be related to a product having incorrect dimensions/weight or simply a glitch in the system. If you can prove to Amazon that fees have been calculated incorrectly, you will be reimbursed accordingly. Older Post How Do I Update A UPC On Amazon?